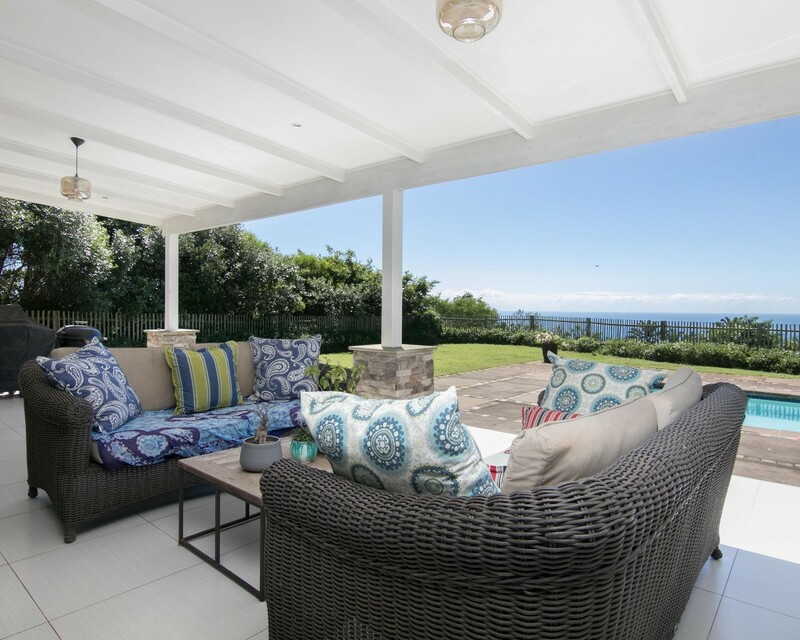 This double storey residence has a creme de la creme position within Simbithi Eco Estate that enjoys spectacular sea views from both the lower level living area and three of the four upper-level bedrooms. Entry into the home is through a striking double volume glass entrance which fills the home with natural light and leads into a voluminous layout made for entertaining. These spacious entertaining spaces include a beautiful bar, a well fitted modern kitchen and a lounge that flows outside to the large covered patio and level garden and pool beyond. A fourth bedroom is also located on the ground level and this en suite bedroom also enjoys uninterrupted sea views.